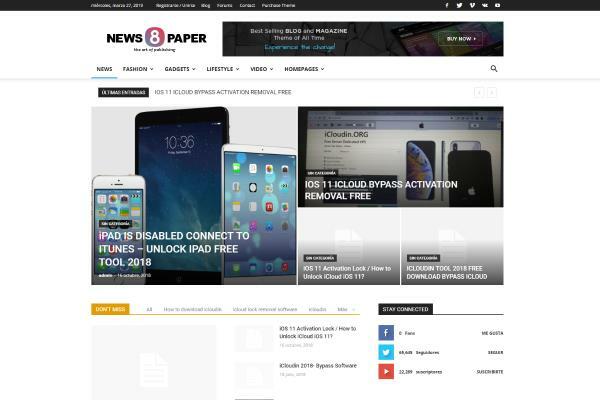 10 Best iCloud Bypass Activation Tools Free Download 2019 - Apple has specific locking and security system for iPhone users. In order to access it, you need to bypass activation mode in iCloud. What does happen if users do not know the password? Well, the phone is still reliable, but the function is limited. This is where they need thebest iCloud Bypass Activation Tools Free Download 2019. These tools are capable to remove activation mode to let other users accessing iPhone immediately.Before going further, you need to understand the way iCloud activation works. It is security feature limited only for Apple users. When buying iPhone for the first time, users receive Apple ID including password. Everything they access in app and feature, this ID acts as verification mode. Apple ID connects to iCloud via internet. When your phone is broken or stolen, no one can access except the legitimate owner. Furthermore, the owner does not have to worry about losing and stolen data. He only need to visit iCloud and restore all data automatically. From iCloud, user might find where the iPhone is as long as the GPS is activated. Another function is to reset all iPhone configurations before selling. Why do you need the best iCloud Bypass Activation Tools Free Download 2019? From above explanation, you can expect what people get when buying secondhand iPhone. Previous owner might not remove the data because the device is still locked. In that case, you need to bypass activation. Based on guidance, iPhone owner has to visit Apple Center before selling the device. However, some people do not follow the rule, and just sell anyway without thinking others. It is up to buyer to handle the activation mode solely. The list of tools to overcome this issue is presented at below section. 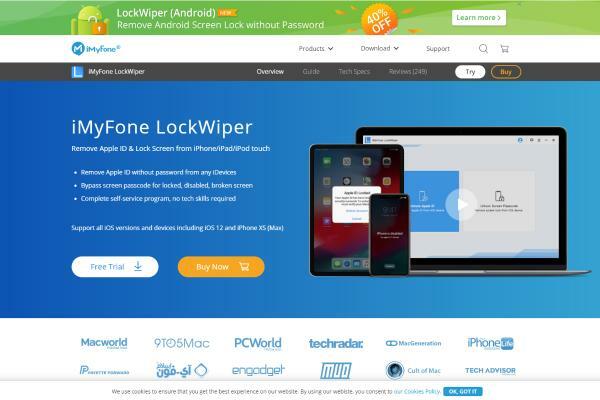 One of reliable software to unlock iCloud is iMyFone LockWiper or Lockwiper for short. It has many features, such as bypass iCloud, remove Apple ID and create the new one, activate iTunes, and disable Find My iPhone. You can use this software for any device from Apple like iPhone, iPod touch, and iPad. The installation is easy and everything you do is without password. In order to remove Apple ID, you need to install this software in your computer. Connect the device to computer and select Unlock Apple ID. After that, click Start to Unlock. Wait until unlocking is done. The process takes time if your iPhone has complex password. After the device is in factory mode, you can create your own Apple ID. However, this software only works on iOS 11.3 or higher. Older device needs different tool. Besides, you only remove ID that’s already activated. Next option for the Best iCloud Bypass Activation Tools Free Download 2019 is iCloudin. This tool is very popular among iPhone jail breaker. You do not need to purchase license because it’s free to install. Moreover, the tutorial is easy to find everywhere. With friendly user interface, it is your way to bypass iCloud activation. Another good thing is that it’s compatible with old iOS. Firstly, you can download and install iCloudin in computer. Connect the device to computer, and then the software will scan new input. Click start and select the device type then hit “next”. The software will scan your device comprehensively. It takes more than 20 minutes even one hour depending on device complexity. After scanning is done, the software will bypass iCloud activation lock automatically. The device is restarting, and bypassing process is done. Keep in mind this software only bypasses, not remove the Apple ID. You still get most of features in iPhone, but some specific ones might not be available. However, that’s enough to enjoy new iPhone ultimately. You can rely on third party service to handle unlocking iCloud. One of the Best iCloud Bypass Activation Tools Free Download 2019 is Official iPhone Unlock. For your information, this one is online service, not the software installed in your computer. They provide bypass iCloud activation in three days business. You just visit the website then provide necessary data, such as phone mode, Apple ID, and phone IMEI. The rest of job will be their responsibility. Of course, you need to pay for their service. Keep in mind this is not official service from Apple. You can try Open My iCloud for unlocking activation key. Just download and install it in computer. Besides, the file size is small that takes much storage and memory. For your information, Open My iCloud is also the top choice where most of iPhone users know it. In that case, you will find instruction easily, including tutorial video. You only need IMEI code. Moreover, the software is compatible to older iOS version. You need reliable software to handle iCloud activation code. For such purpose, Doulci is what you should try. This software has long name, but it’s reliable enough to do unlocking. The feature includes unlocking iCloud to bypass activation code. You need to install and connect to server. After that, plug iOS device then wait until the unlocking is done. The process might be a little bit complicated for non-tech savvy. However, you can find tutorial easily anywhere. 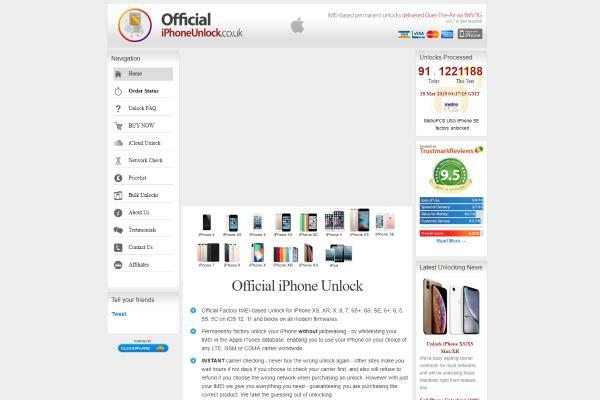 This is good choice if you have issue regarding iPhone access due to iCloud lock. The next software of the Best iCloud Bypass Activation Tools Free Download 2019 is iCloud Bypass Tool. From its name, you can expect what developer adds to this app. The features are not just unlocking, but related to the function, such as creating new ID, activate iTunes, etc. Many users stated that iCloud Bypass Tool is reliable app. You can unlock most of Apple device such as iPhone and iPad. The app is also compatible to older iOS version. The next app is Gadgetwide with feature to get rid of any activation lock in iPhone. Good thing about this app is high rating from users. In that case, you do not have to worry about credibility. The features are varied, but unlocking is the most common reason why users rely on Gadgetwide. The app is available freely without any charge. Users only need to download and install it. After that, connect it to device automatically and choose some menus to do unlocking. Wait until the process is done. If you need reliable software, the next option is Bypass iCloud Activation Tool. As usual, it has the same function as previous list. You can remove any locking code in iPhone. The software is compatible to most of devices, mostly iPhone. For iPad, you need to check iOS version before connecting to this software. In order to unlock iCloud, one-way solution is to get rid of iCloud ID immediately. This is what iCloud Easy Bypass does for iPhone owner. The software is free to install. In general, user interface is very friendly, but users can check tutorial before operating it. Therefore, this is another good option in the list of the best iCloud Bypass Activation Tools Free Download 2019. Those tools above are practical and reliable to overcome iCloud lock issue. Each has similarities and differences to fulfill what users need. If a software or tool cannot work in your device, there are tons of options to choose. You need to try one by one until the iPhone is completely unlocking. People might have questing about security and legal issue when bypassing iCloud. It is grey area because the third party tool and services are not from Apple officially. As it mentioned above, people have few reasons to rely on this method. Firstly, you can purchase from legal owner, but he does not reset the device to default mode. If you purchase the phone from store, there is no information regarding previous owner. How do you bypass lock code without him? Both are common reasons why this kind of software is developed. Of course, Apple intends to make sure everything is safe and secure. On the other side, some people feel this locking code is quite troubling. Besides unlocking by tool, you can bypass on your own. It is not easy task, even for experienced jail breaker. Apple always upgrades many feature and components to protect from this activity. However, that’s not something they put as obstacle. On contrary, the best security means advanced tool will come to overcome it. Simple bypass mode is to access basic mode. It helps users to find previous owner then ask to remove iCloud ID from his old device. The apps without internet can still work if the phone is locked. You just disconnect the device while accessing them. Most tools above are software that need computer. You need to download and install then connect to iPhone via USB port. Some of software apps are compatible to older iOS and the rest only works in the latest version. You need to check serial number, device type, and iOS version. Choose the tool based on what you have on device specs. Computer also supports third party connection via port. This is the next thing to know after selecting one of the best iCloud Bypass Activation Tools Free Download 2019 above. Thoughts on "10 Best iCloud Bypass Activation Tools Free Download 2019"